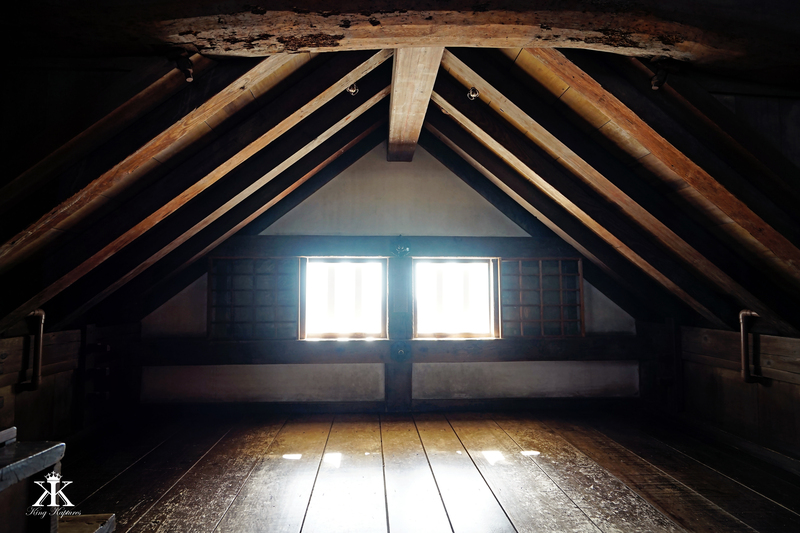 Himeji Castle: Top Secret Ninja School?? 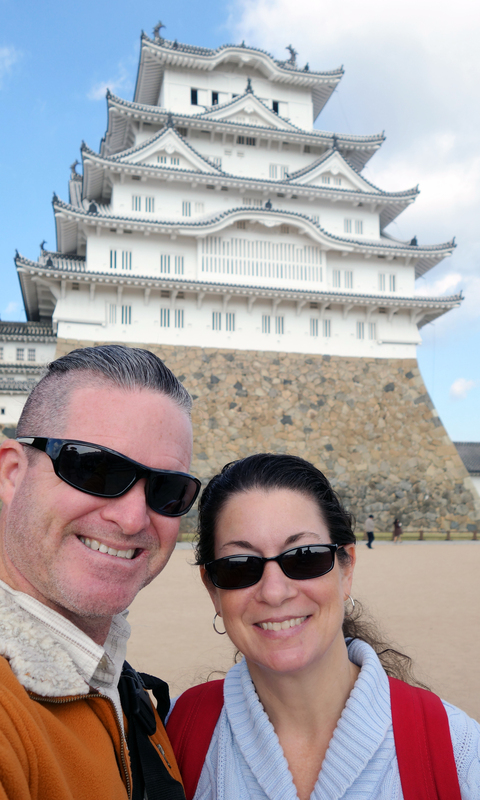 Ninja training school or not, Jody and I recently made our way south from our stay in Kobe, Japan, to visit one of Japan’s most iconic castles: Himeji. 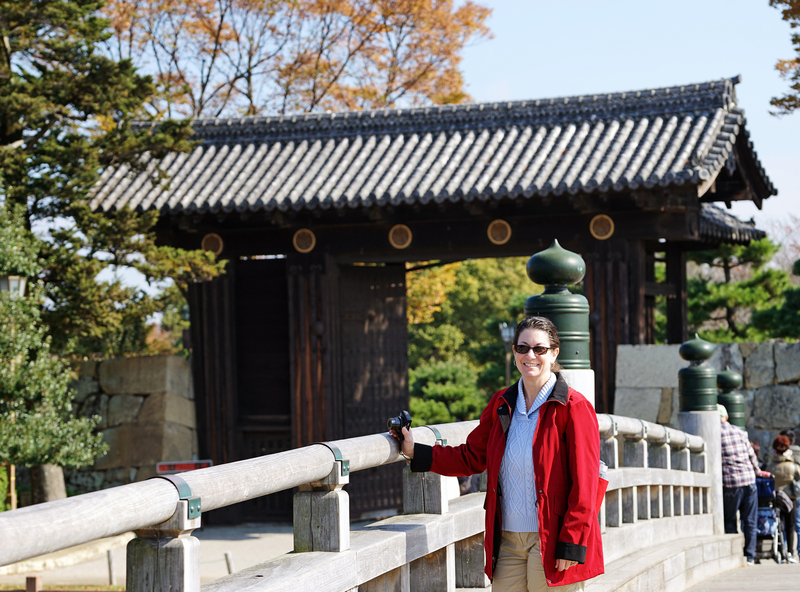 Compared with Nijo castle in Kyoto (see The Last Samurai’s Castle for more), this is much more like castles with which most Westerners would be familiar. Thick walls full of loop-holes for shooting. Narrow passages and numerous gates armed with watch-towers and reinforced locking doors. And a tall, hill-top Keep, full of weapons racks and murder holes through which heavy rocks and boiling oil could be dropped on invaders…. 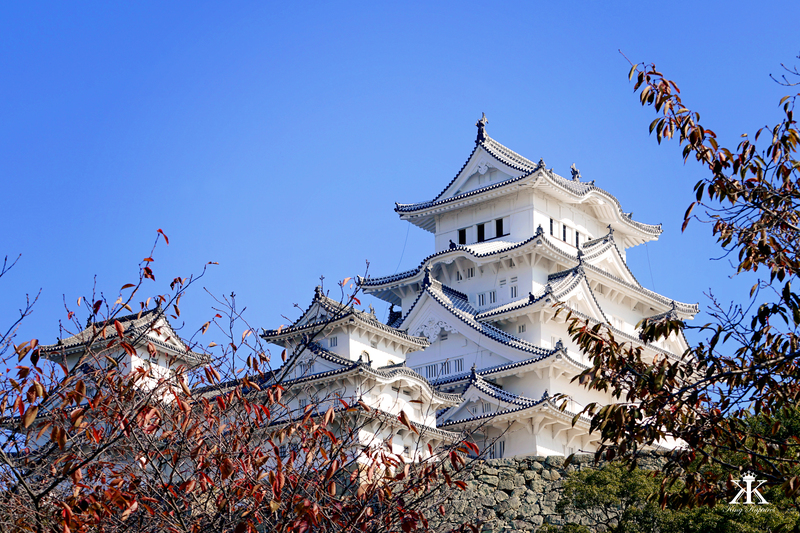 Himeji Castle (姫路城 Himeji-jō) is a hilltop Japanese castle located in the city of Himeji, Japan. 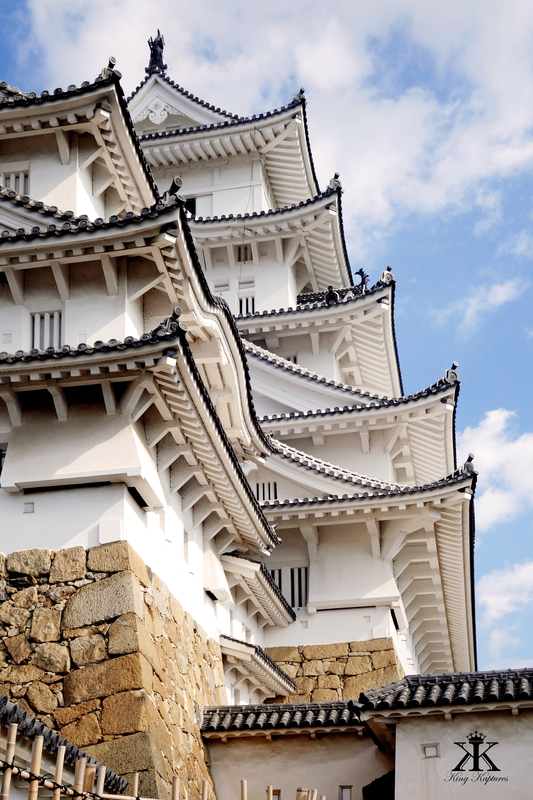 Regarded as the finest surviving example of historic Japanese castle architecture, it is comprised of a tight defensive network of 83 buildings dating from Japan’s feudal period. 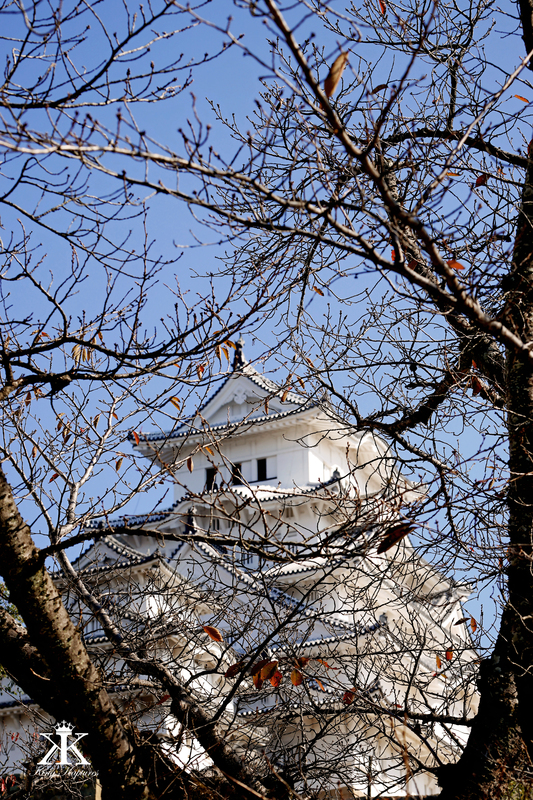 The castle is often locally referred to as Hakuro-jō (“White Egret Castle”) or Shirasagi-jō (“White Heron Castle”), because of its brilliant white finish and resemblance to a bird taking flight – a somewhat vague analogy in my opinion. 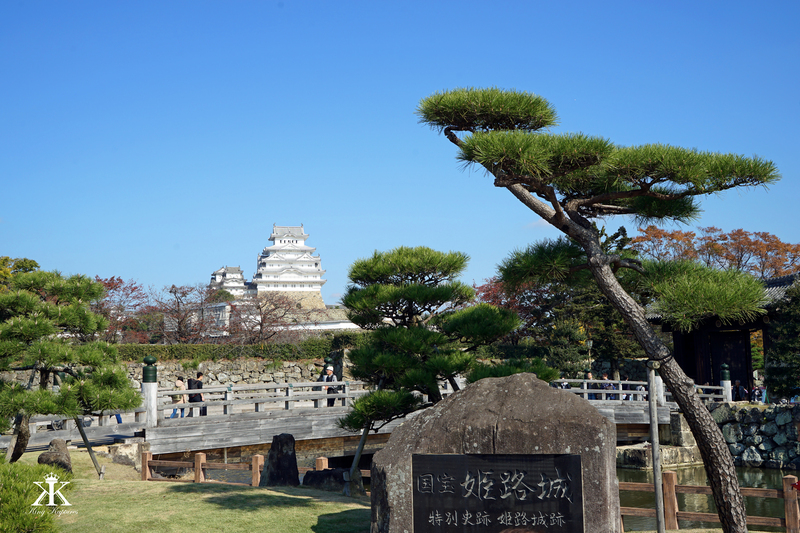 Himeji Castle started as a small hilltop fort in 1333. Replacing the fort was first a castle called Himeyama in 1346, which was then remodeled into Himeji Castle in the 16th Century. 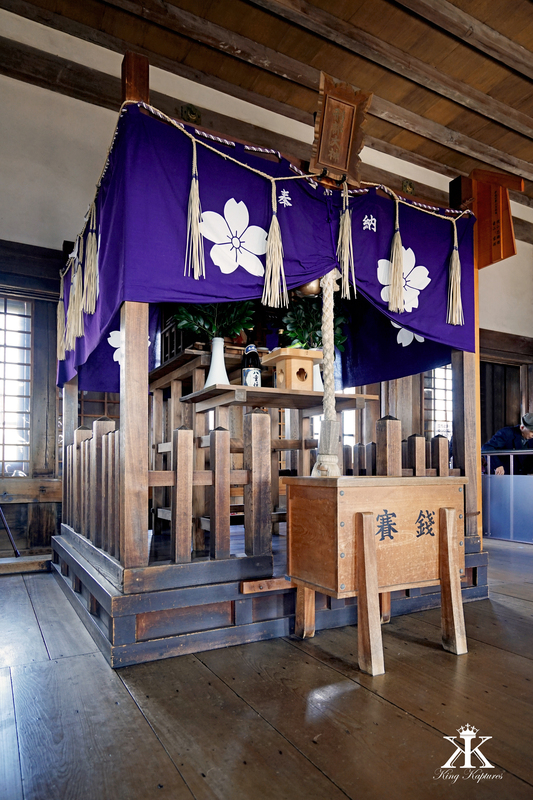 In 1600, Tokugawa Ieyasu, the same Samurai that built Nijo Castle in Kyoto, awarded the castle to another feudal Lord, who happened to be his son-in-law. He, in turn, completely rebuilt the castle in the early 1600s to what we see today. 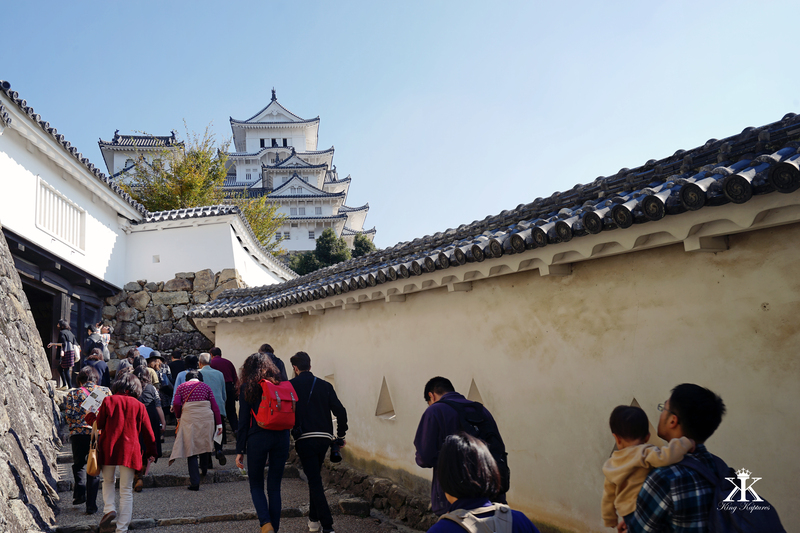 For over 400 years, Himeji Castle has remained largely intact and well-maintained, even throughout the extensive bombing of World War II and the 1995 “Great Hanshin” earthquake, both which seriously damaged nearby Kobe and the surrounding area. In fact, the city of Himeji was specifically targeted for bombing in World War II because an important rail terminal and line was located there. On July 3, 1945, 107 B-29 bombers took off from airfields on captured Guam, Tinian, and Saipan to bomb Himeji. During the raid, 767 tons of incendiary bombs were dropped on Himeji, destroying almost 65% of its urban area. Himeji Castle, however, remained remarkably unscathed, even after one firebomb, which failed to ignite, was dropped directly on its roof. As word of this seeming miracle spread, the castle became to be known as divinely protected. 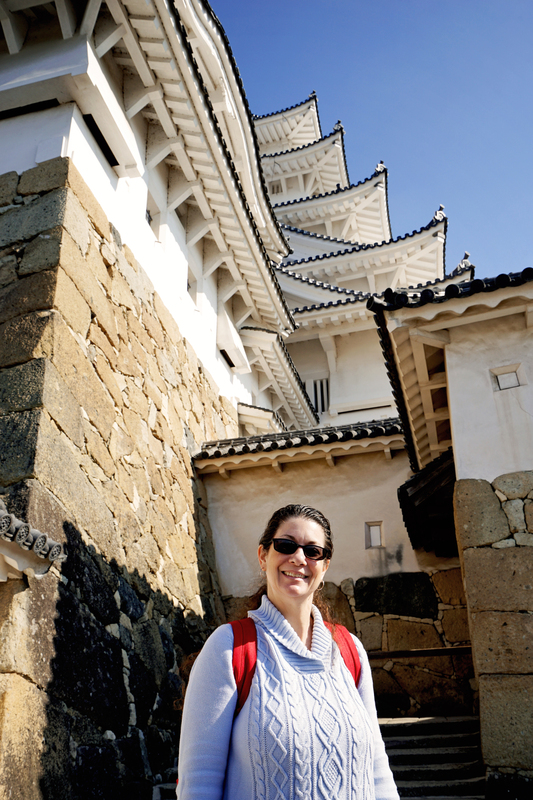 Himeji Castle is the largest and most visited castle in Japan, and is recognized as a UNESCO World Heritage Site. It is a masterpiece of construction in wood, combining martial function with aesthetic appeal, both in its elegant appearance of white plastered walls, and in the subtlety of the relationships between building dimensions and the multiple layers of rooflines. In 2015, over 2.8 million people visited, so the castle can be quite crowded. Our recommendation is stay away during Japanese National holidays and the New Year, and arrive early before tour buses start to que for the afternoon. On busy days, numbered tickets are issued to control access based on scheduled admission times. At times, the castle will run out of tickets. 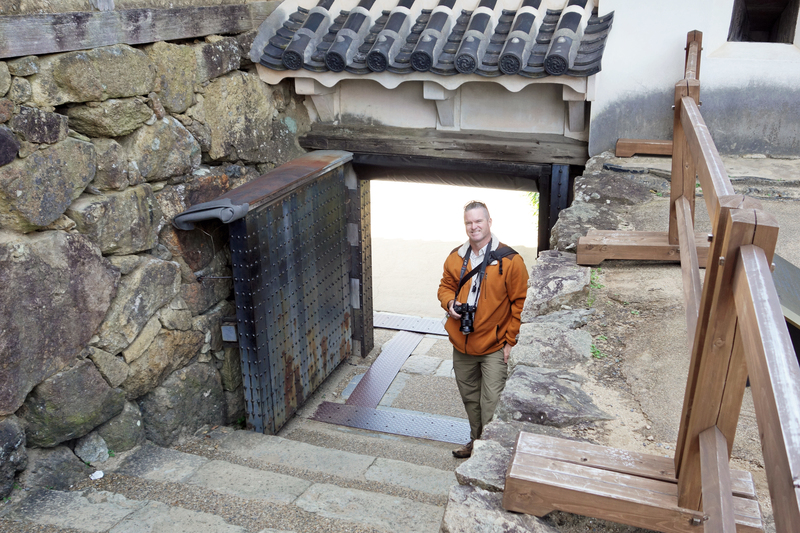 Himeji Castle was abandoned during the Meiji Period in 1871 and some of the castle corridors and gates were destroyed to make room for Japanese army barracks in the ensuing decades. The castle was next auctioned to a private citizen who wanted it destroyed in order to redevelop the land. Demolition proved much too expensive, and Himeji was spared. 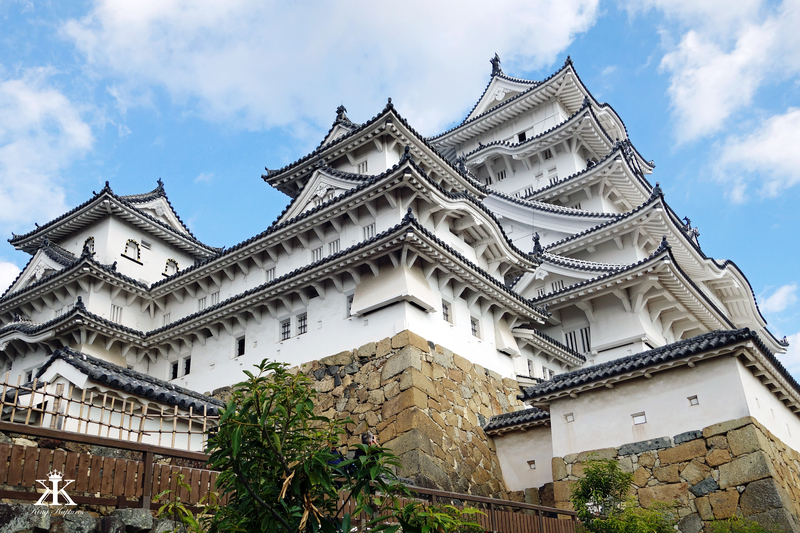 However, it’s fate still unsecured since Japanese castles had become obsolete and their preservation costly and not a priority during post-WWII recovery. The 6-story main Keep has two massive supporting pillars, one standing in the east and another in the west, each originally single trees of fir and cypress with diameters over three feet. 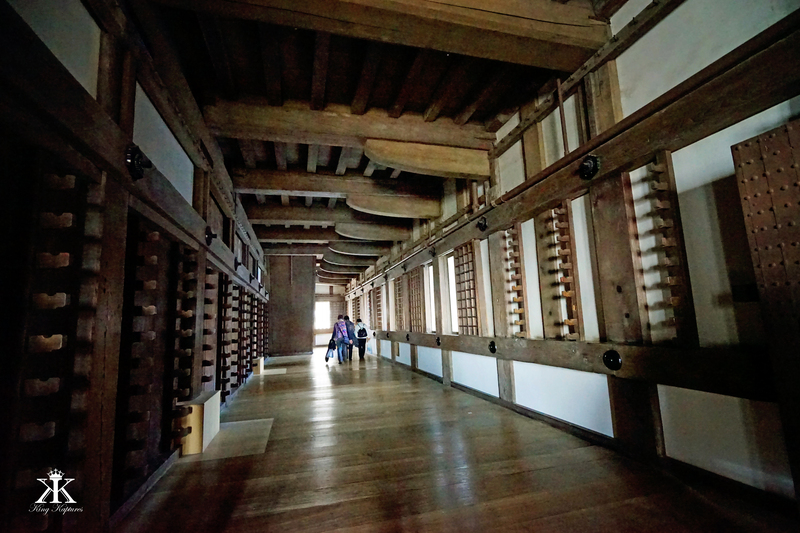 The inside walls of the Keep are literally covered with weapon racks (武具掛け bugukake), originally for holding matchlocks (17th firearms in Japan) and spears. 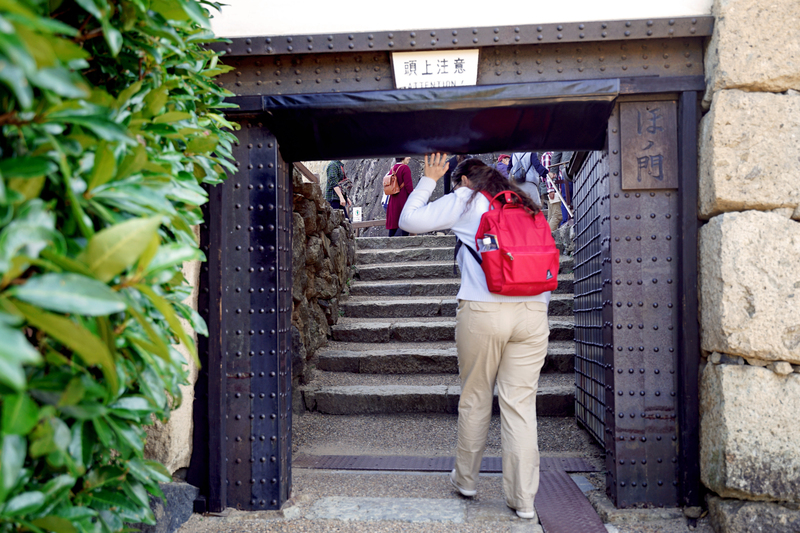 Numerous openings below windows can be found in the Keep called “stone-throwing platforms” (石打棚 ishiuchidana) strategically situated over the winding pathway up the hill. 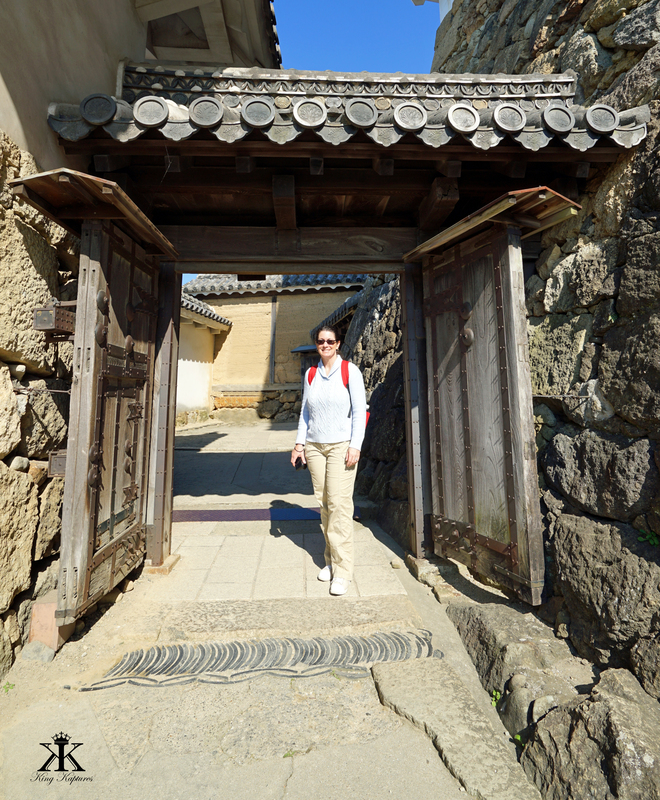 Similarly, angled chutes called “stone drop windows” (石落窓 ishiotoshimado) are found here too, enabling stones or boiling oil to be rained down upon the heads of attackers below. Within the Keep are small enclosed rooms called “warrior hiding places” (武者隠し mushakakushi), allowing defenders to hide and attack by surprise. One of the castle’s foremost defensive strategies is found in the design of the confusing maze of narrow pathways leading uphill to the castle’s Keep, as much a psychological barrier as a physical one. Unable to scale up or penetrate through the steep and tall castle walls, attackers are necessarily funneled into a long, spiral pattern around the keep, an approach covered by loopholes and murder holes the entire way. Originally there were 84 gates to slow intruders, but today only 21 remain. Roughly 1,000 loopholes (狭間 sama) in the shape of circles, triangles, squares, and rectangles are still found throughout the castle today. 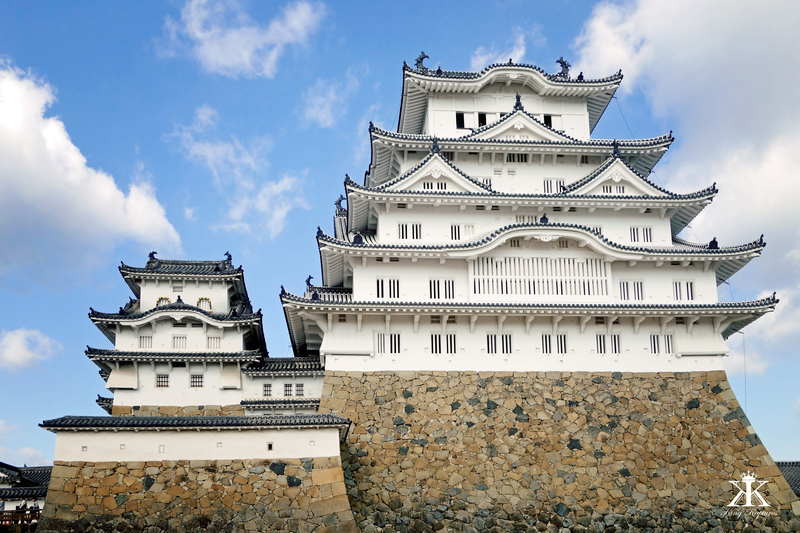 Partly due to this focus on strong defense, Himeji Castle was never even attacked. The castle has been featured extensively in foreign and Japanese films, including the James Bond movie You Only Live Twice (1967), and Ran (1985). In the television miniseries Shōgun (1980) it served as a stand-in for the fictitious feudal-era Osaka castle featured in the series. While the castle is exquisite from a distance, and impressive from the outside, touring the Keep’s innards is an exercising in climbing up and down steep staircases. While a visit here is in no way something that should be skipped, just don’t expect much in the way of explanation…or interesting things to see. 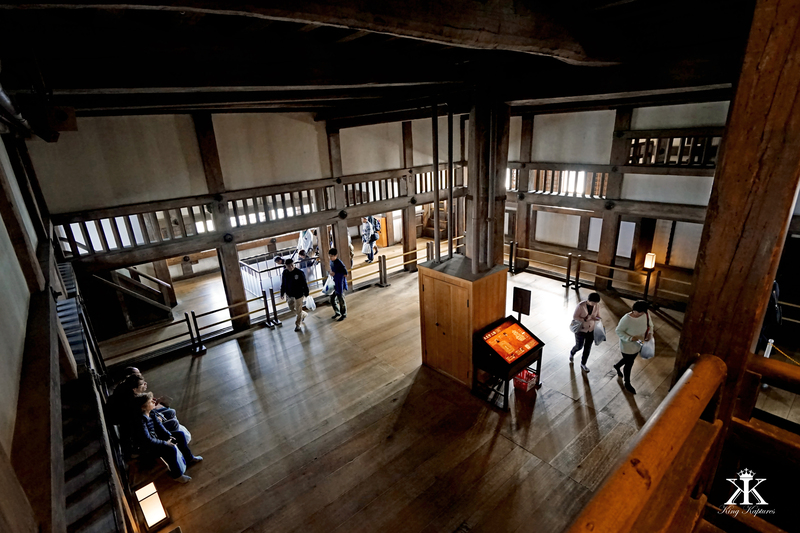 In other words, from an architectural and design perspective, seeing a 400-year-old original structure is amazing. 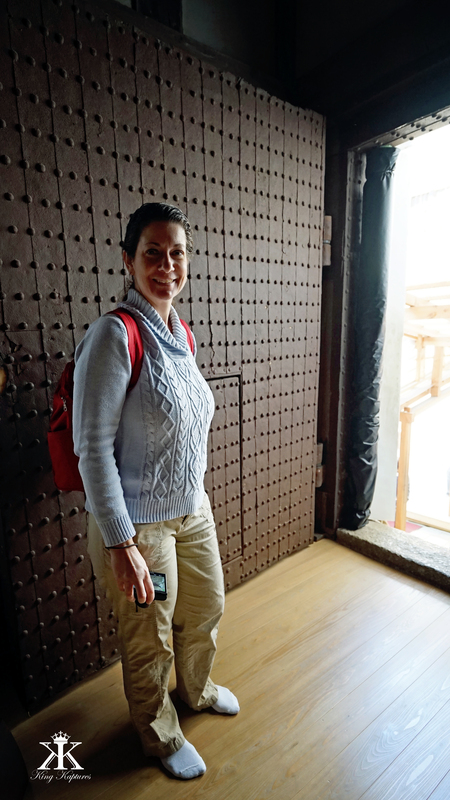 However, the castle is culturally void, having been stripped bare…which is how it is presented today after an extensive rehabilitation earlier this decade. 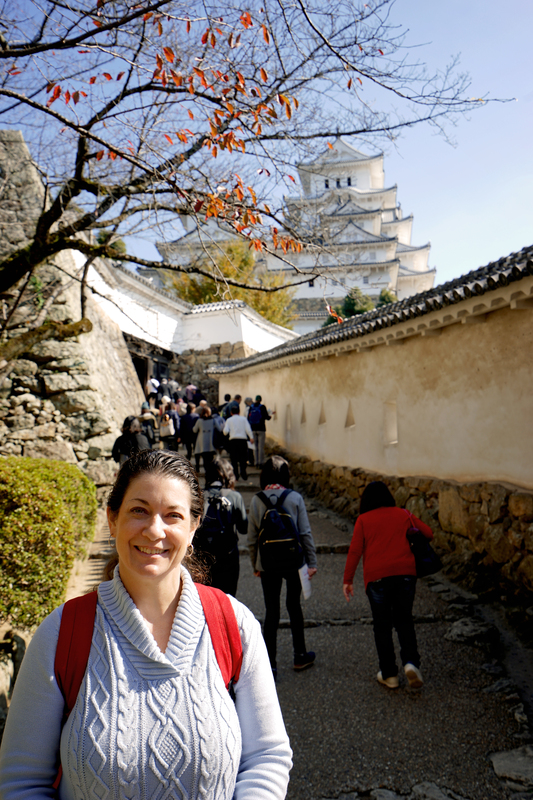 That said, Himeji Castle still remains the most spectacular example of an original Japanese castle still in existence. 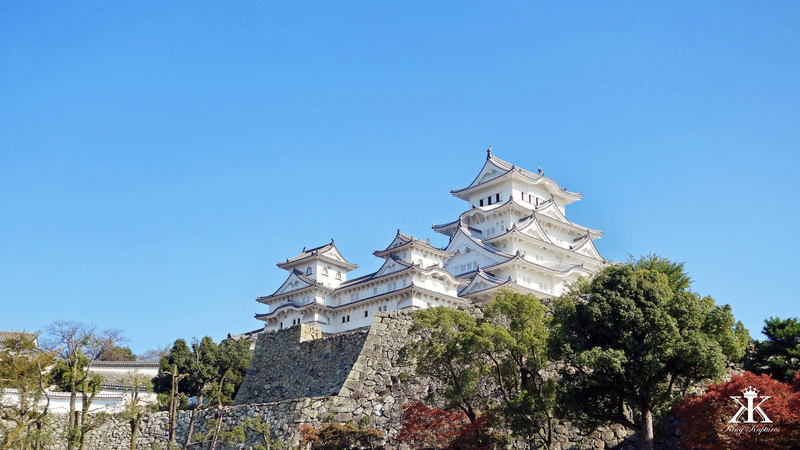 Even for someone who is not particularly interested in castles or history, a day-trip from Osaka or Kobe to Himeji-jo can be fascinating and well worth the expense and effort. Even if there really isn’t a Bond-san ninja training school located there…. 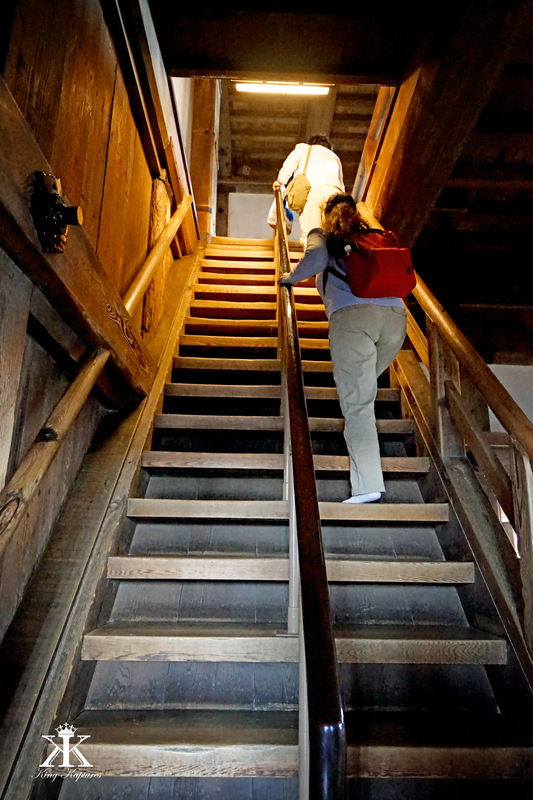 Access: Himeji Castle stands about one kilometer down the broad Otemae-dori Street from Himeji Station. The castle can be reached from the station’s north exit via a 15-20 minute walk, or five minute ride by bus (100 yen one-way) or taxi (about 650 yen one-way).